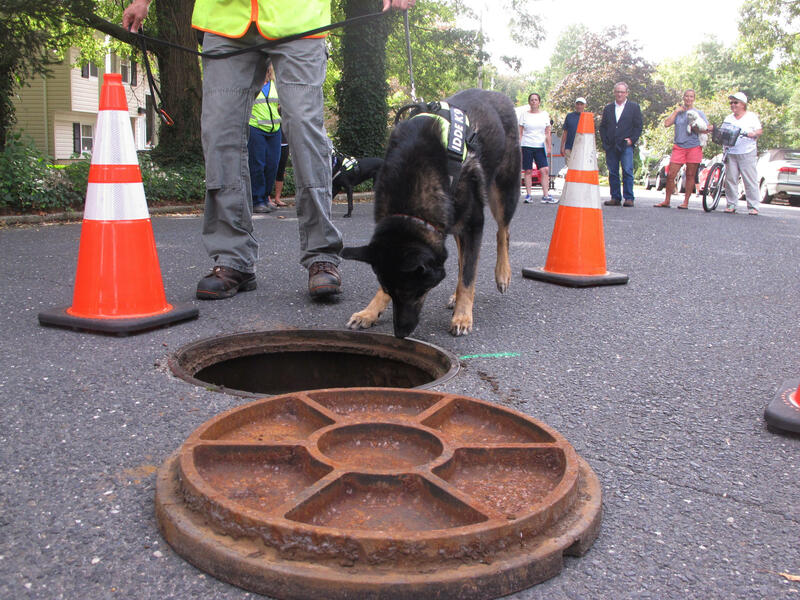 FAIR HAVEN, N.J. - Some pollution-sniffing dogs at the Jersey shore have shown they’re No. 1 at sniffing out No. 2.